Well I am back under a new name. 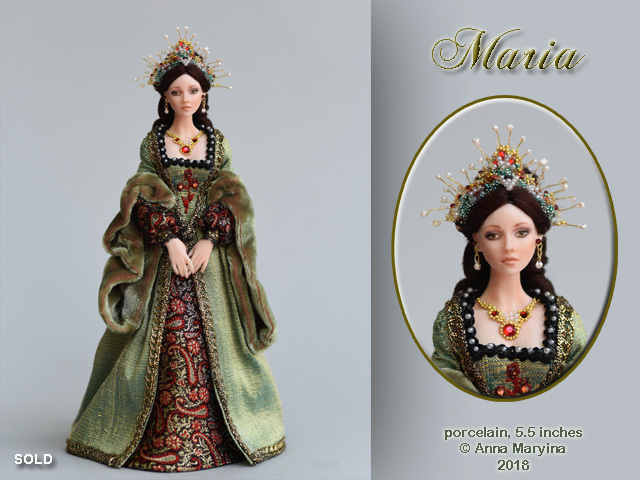 Anna Hardman Dolls is now Anna Maryina Dolls. Please visit my web so it gets some traffic and starts showing in Google Search. 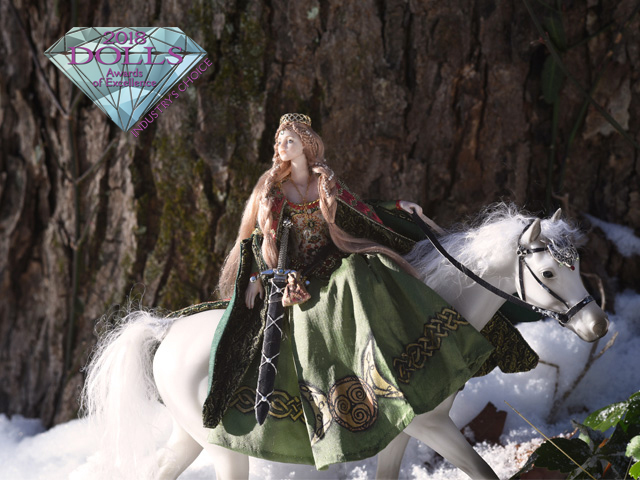 Rhiannon, the Celtic Goddess has picked up the Industry Choice Award by DOLLS magazine this year. The Welsh name Rhiannon has origins in ancient Celtic lore and has been told orally for more than a thousand years, appearing in 12th century writings. Her name translates to Devine Queen, and her story does not disappoint. Born to the daughter of Lord Hefaidd and Queen of Qwent, she was destined for greatness. At a young age she was trained as a straightest and warrior. With the responsibilities of governance and sovereignty, she matured, and her intellect, truthfulness and generosity guided her decisions. Rhiannon's equestrian skills were unmatched. After choosing the Prince of West Wales as her consort, she teased him and his horsemen by not allowing them to catch her. 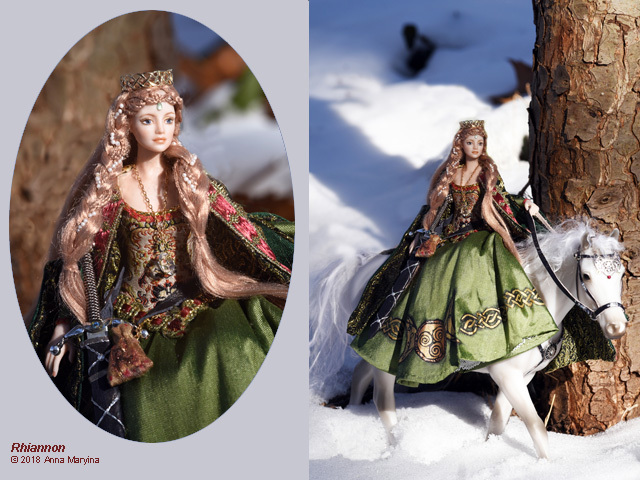 Rhiannon is often seen on a white horse looking back at her consort as he chases her in vain. As the story is told, the faster the men rode, the father away she became. Only after calling to her and slowing their chase did she allow him to catch her. She wears a small purse that is a magical paradox, for it cannot be filled by ordinary means. (by Benjamin Dunigan). 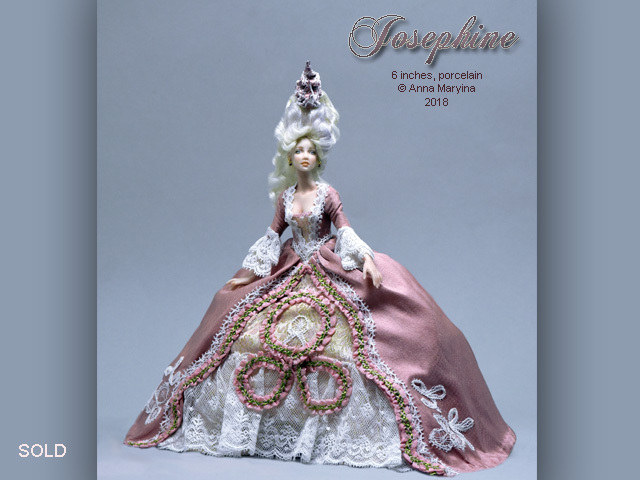 The doll is porcelain in 1:12 scale. She wears a solid 14K crown that represents Celtic Knot eternity. Rhiannon is adorned with various gemstones including a natural uncut Herkimer diamond worn around her neck. Her sword comes out of its sheath.